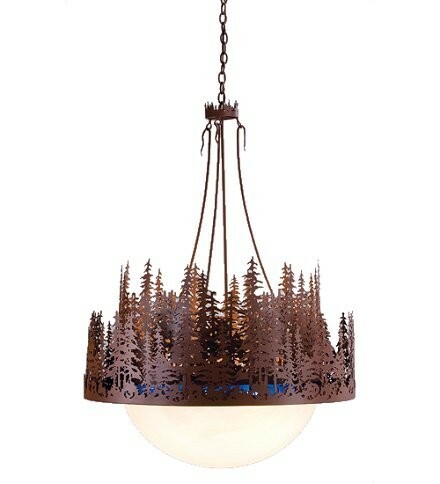 This unique inverted rustic chandelier is the perfect complement to your camp, lodge or rustic room. A stand of tall pines beside a blue lake circle a domed alabaster like shade. 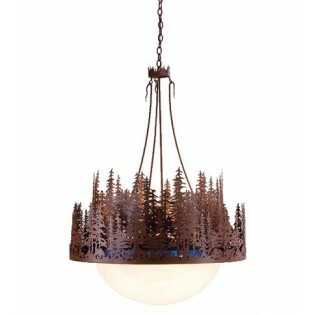 This handsome, nature inspired Pine Tree Chandelier is hand finished in rust.